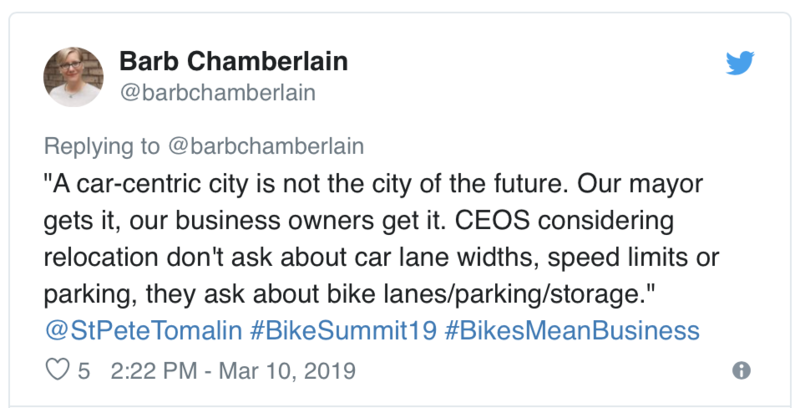 It would be impossible to sum up #BikeSummit19 in one post--so I won’t. Over the next several weeks, we’ll post photos, presentations, and more detailed recaps about what we took away from the Summit. 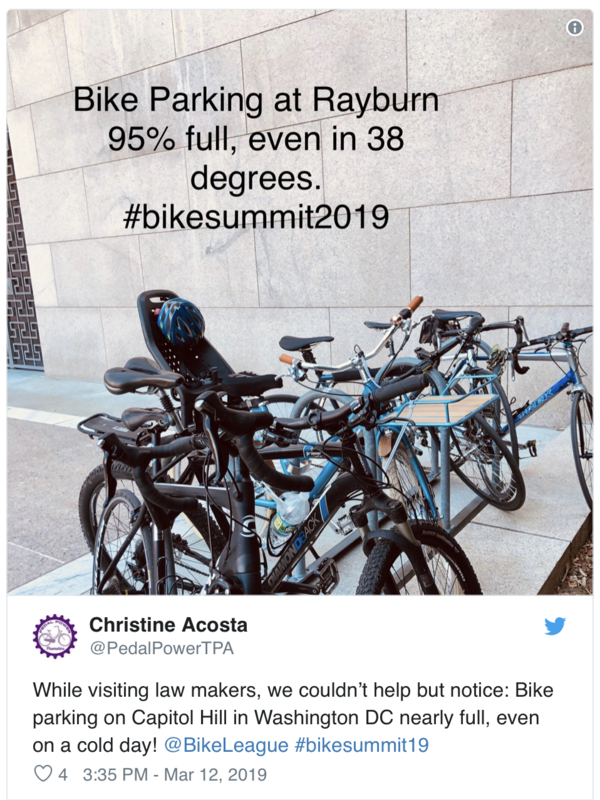 In the meantime, we want to celebrate the nearly 400 cyclists and advocates who attended the Summit and helped elevated our conversations about making biking better to the national stage. 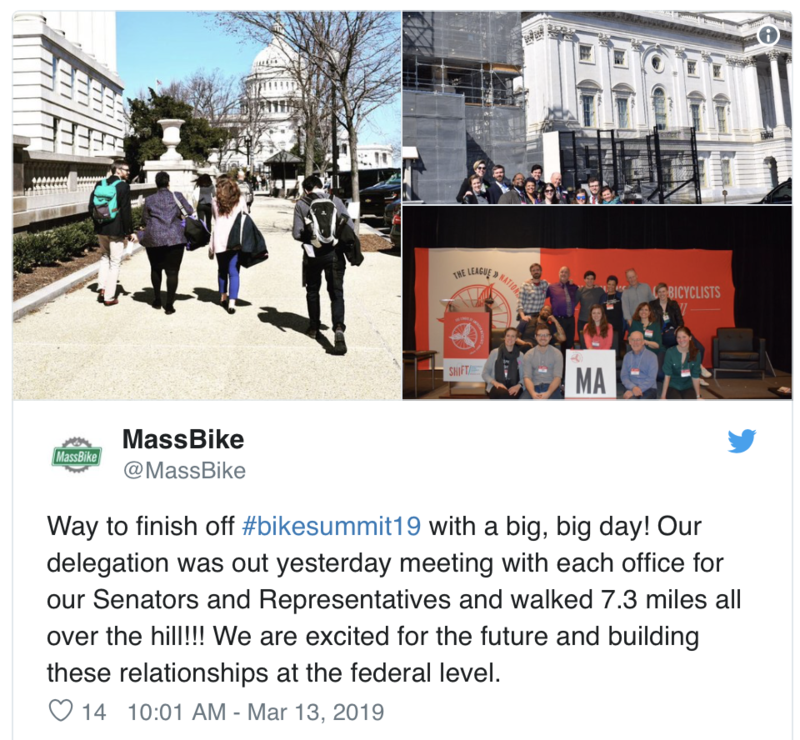 Between breakout sessions and plenaries, attendees of the 2019 National Bike Summit got to learn about everything from making cycling more accessible to people with disabilities to building bicycling mega-projects to how local leaders are managing a multi-modal future. Want to know more about who was there and what you missed? Need to refresh your memory about what organization had those great ideas? The agenda with speakers is still online. 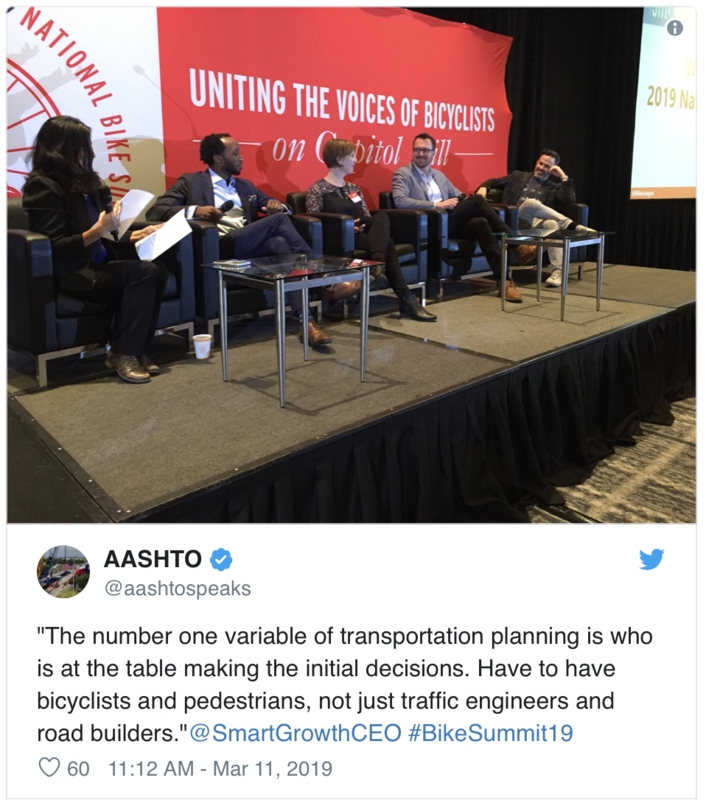 Our plenary sessions brought together people with big ideas and the leadership to help build a more Bicycle Friendly America. The Awards Dinner at the Summit offers the League a crucial opportunity: to recognize the members of the movement who are leading, inspiring, and organizing us to be more powerful in our mission. 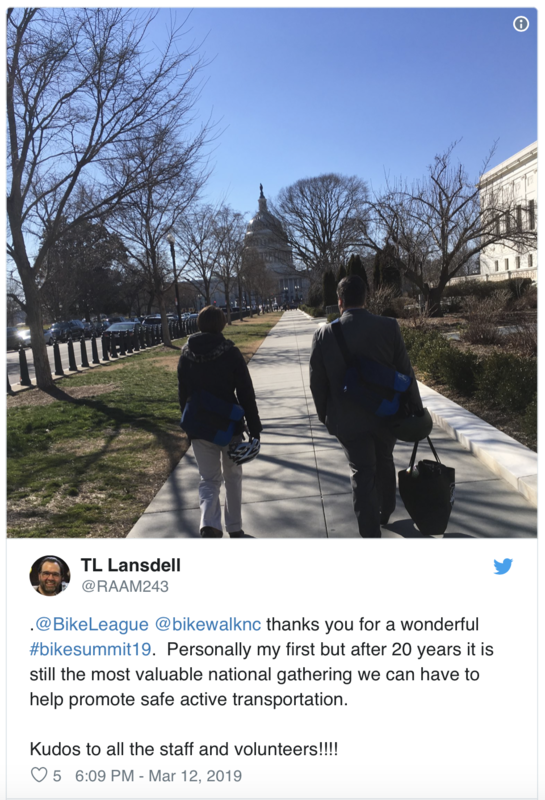 At #BikeSummit19, we honored four people and one organization making a daily difference in the lives of cyclists. One award that captures the spirit of the entire event is the Susie Stephens Joyful Enthusiasm Award, which we hope speaks for itself. 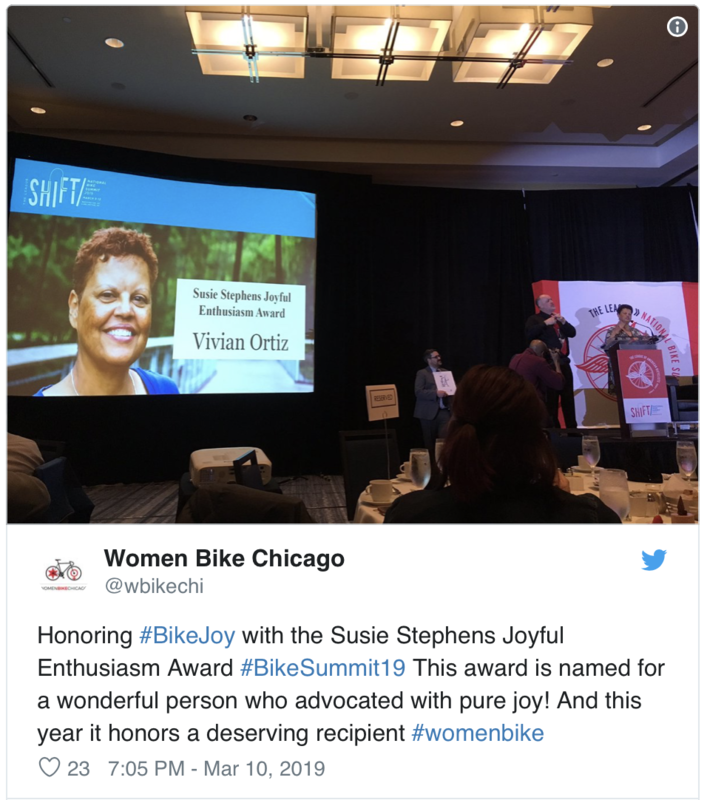 This year, Vivian Ortiz was rightly recognized for always bringing the focus on the bike back to why we bike. Watch Vivian’s acceptance speech via our friends at MassBike. As our keynote, we were excited to welcome Robin Mazumder, an urban scientist at the University of Waterloo, who makes a compelling case for the ties between mental health and our built environment. 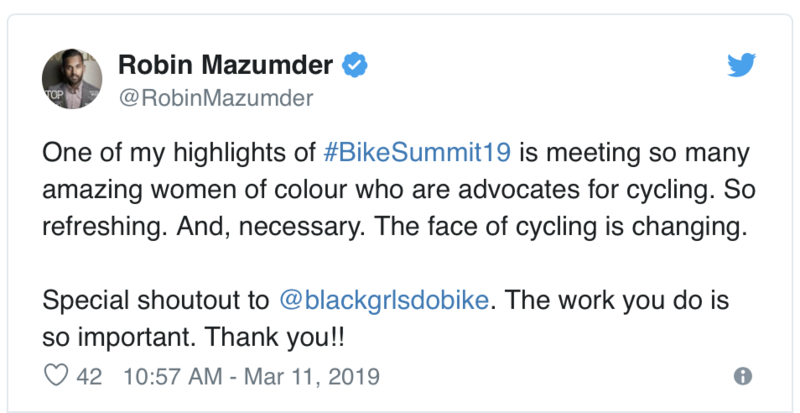 Robin shared with us how his family’s history has been entwined with biking, through surviving genocide to rebuilding lives as immigrants in a new country. For Robin, cycling has had a huge impact on his own life and his drive to improve the lives of others. 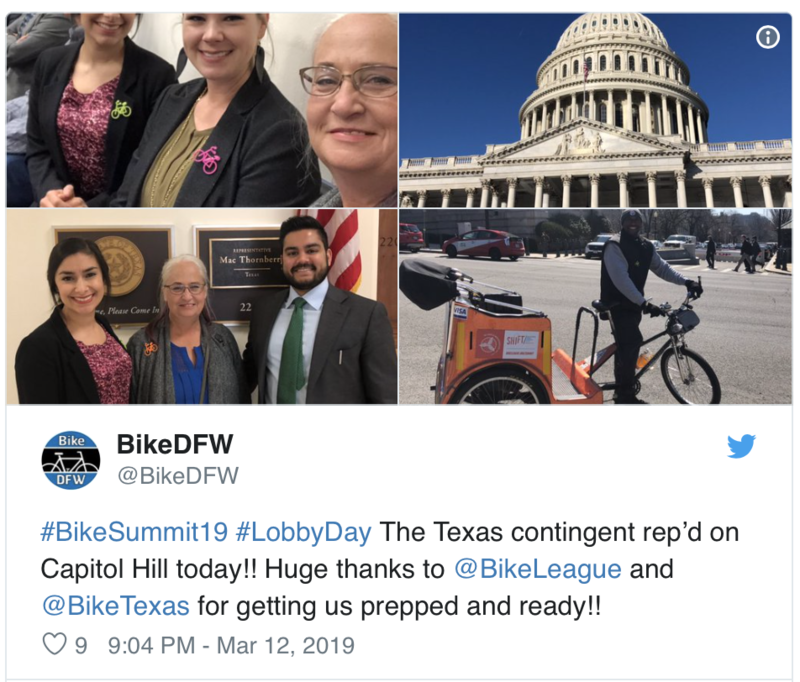 Tuesday at the Summit was Lobby Day, where advocates took everything they had learned over the previous days and brought that message to Capitol Hill. Our advocates were lobbying for better data and for tax breaks, and so many found enthusiastic support on both sides of the aisle. 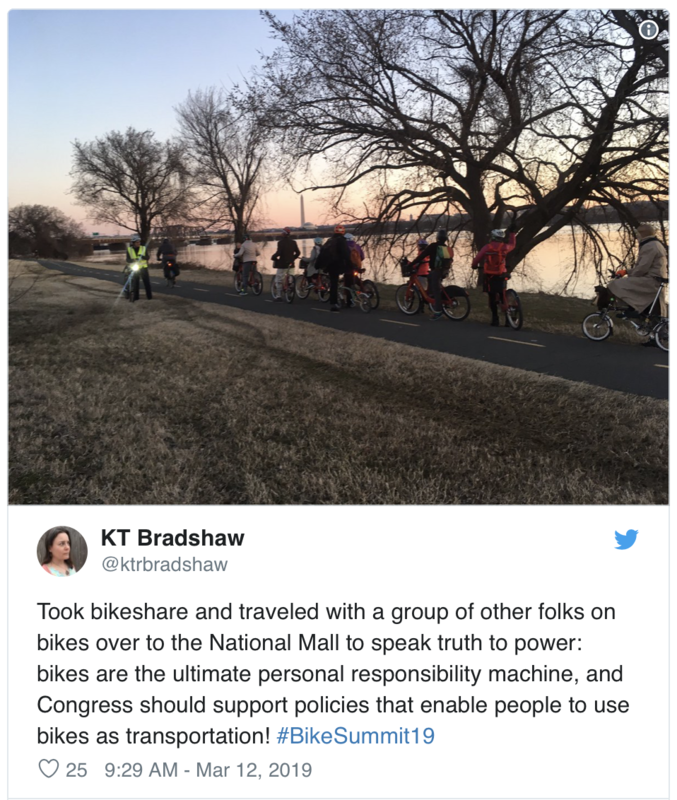 Learn more about the legislation we're supporting and ask your representatives to co-sponsor legislation that will make biking better. Most of all, what inspires us about the Summit are your stories. League members and cycling advocates coming together in one place energizes us like nothing else. 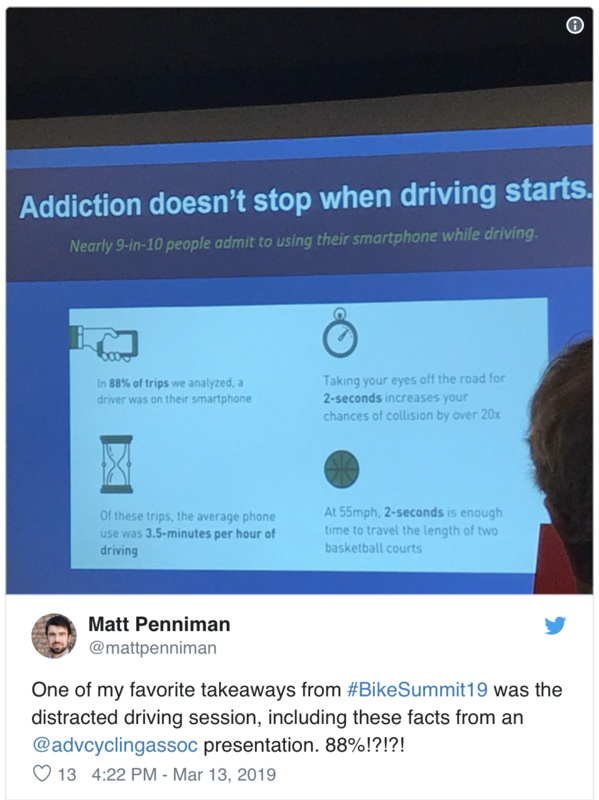 Being able to hear how you have overcome local challenges to bike infrastructure, share in your victory celebrations, and see new connections forged over the love of pedaling makes us even more excited for the next Summit. Onward to #BikeSummit20 and even more miles together! 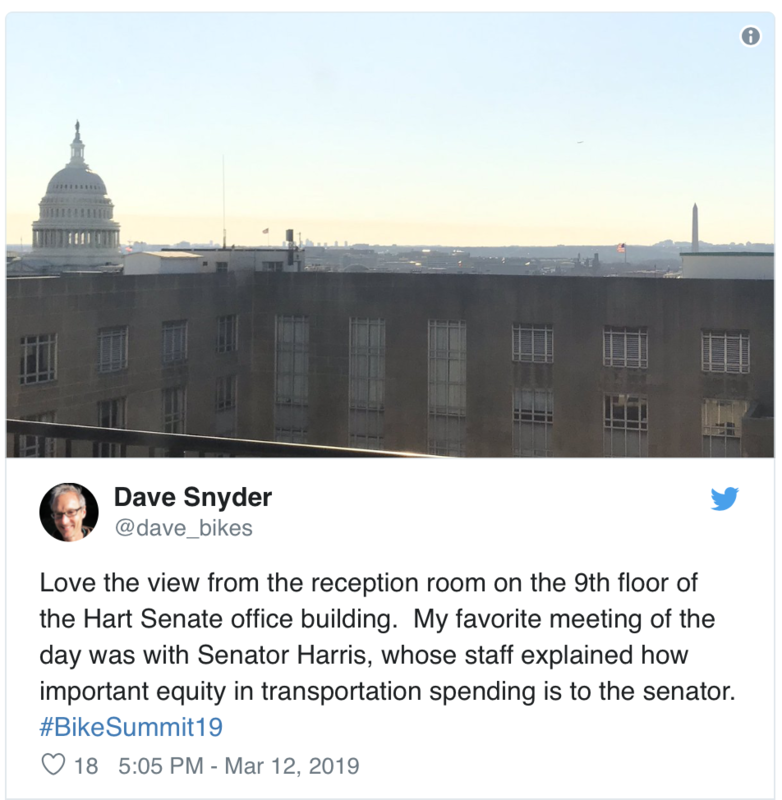 Keep an eye on our Twitter feed and the blog for photo galleries, presentations, survey results and more fromthe 2019 National Bike Summit in coming weeks.